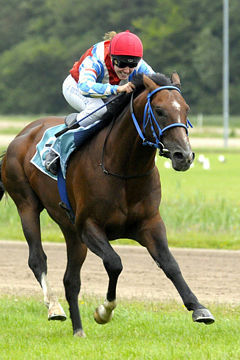 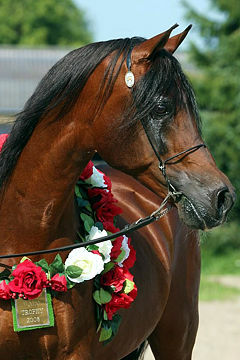 AA Mystic Charm, winner of New Zealand’s 2014 WAHO Trophy, was bred by Melville Gubb of Araleigh Arabian Stud and is a Bold Fyre (US) daughter out of the great broodmare AA Mystique by Gai Cadet (US). 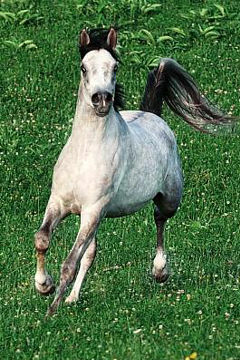 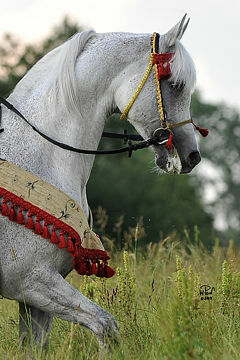 AA Mystic Charm (known to her friends as Charm) is an attractive and athletic grey mare and has been a great ambassador for the Arabian breed, proving herself both in the show ring and in the endurance field. 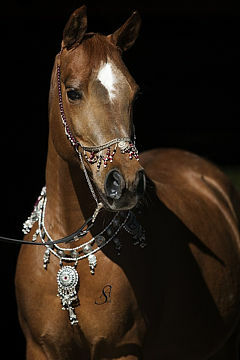 On her female line she traces to the oldest existant Australian foundation mare line, that of Sherifa, bred in the early 1890’s by Sir James Penn Boucaut from his two imported Crabbet horses, Rafyk and Dahna. 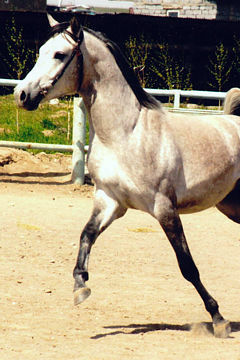 Charm has something special, a family and visitor’s favourite from birth. 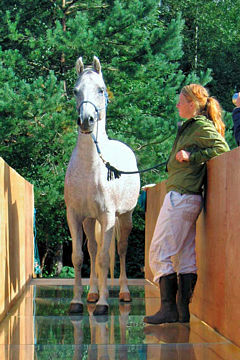 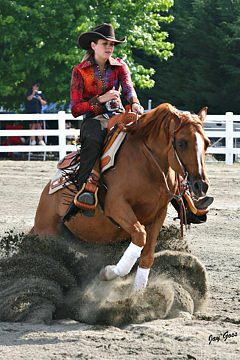 In 2005 her first National Show preparation was done, only to be shut out of her 3 year old class on a technicality. 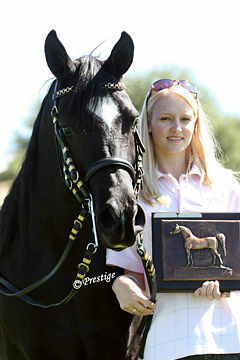 She went on to win Senior Classic Head, and was represented in both of her parents’ progeny 1st placings. 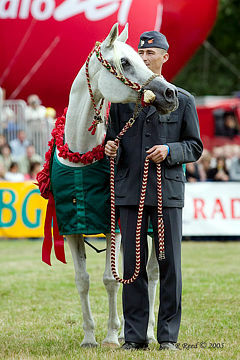 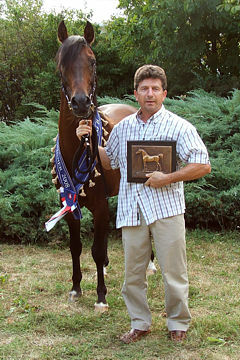 At the 2010 National Championships in Christchurch, Charm was a Top 5 Qualifier. 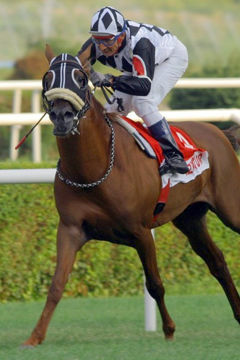 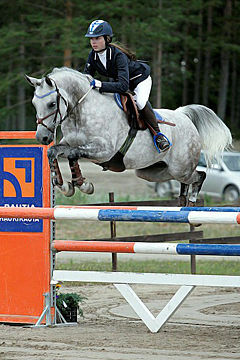 Charm started her endurance career as a 5 year old. 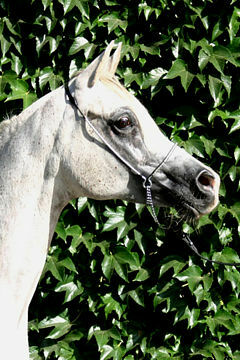 Her go forward, independent attitude, inherited from her sire has served her well. 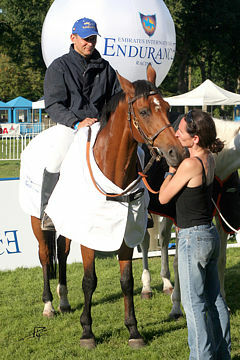 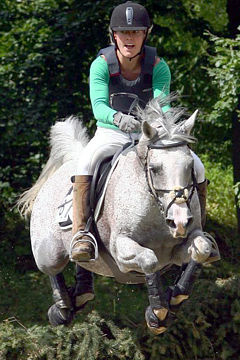 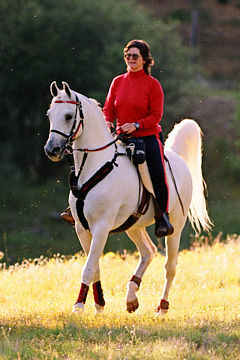 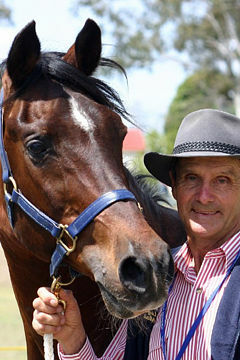 Her regular rider, Rosemary Revell, feels that she was born to go the distance of endurance. 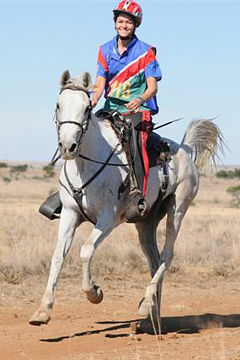 To date she has completed over 2,300 endurance kilometres. 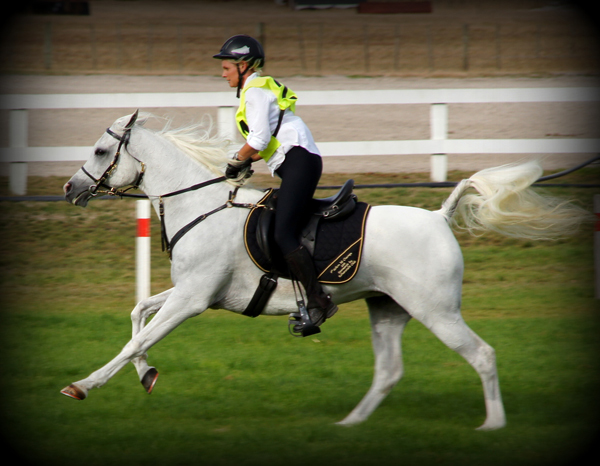 She has won a CEI* 90km and Best Conditioned, completed four 120 CEI** rides with a 1st placing and Best Conditioned at the 2013 North Island Championships, two 4th placings, and a qualifier. 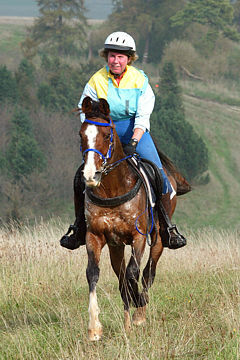 In her first attempt at a 160km CEI*** ride at the 2012 North Island Championships Charm was 2nd in a competitive time of 9 hours 53 minutes. 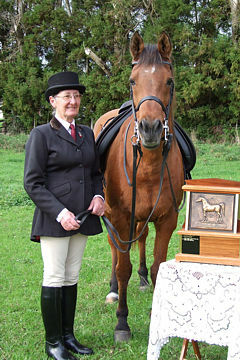 Two weeks later Charm entered the show ring at the New Zealand Arab Horse Breeders’ North Island Championships held in Hawera, and was awarded the Reserve Champion Mare title and placed in all three of her riding classes with a 1st, a 2nd, and a 3rd. 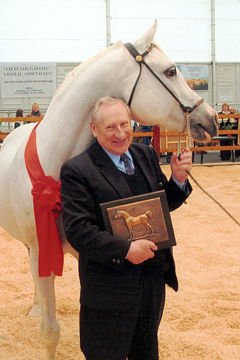 We at Araleigh Stud consider this to be our greatest achievement in the 50 years that we have existed – a feat never been done before. 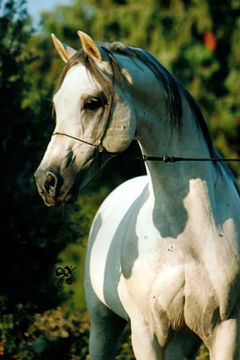 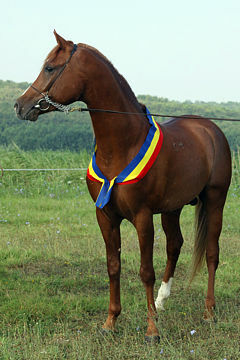 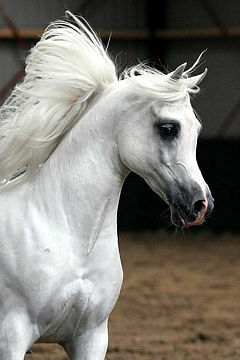 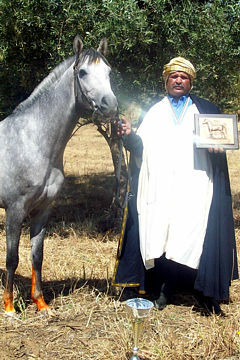 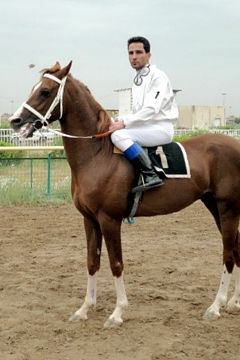 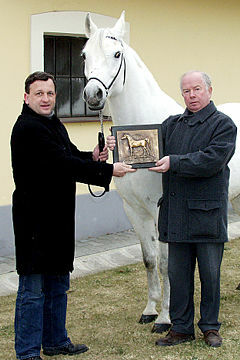 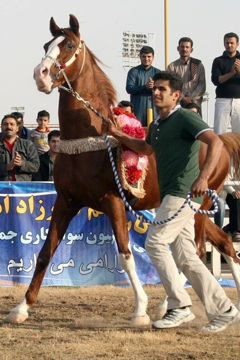 We consider AA Mystic Charm to be an excellent ambassador for the Arabian breed and a worthy recipient of the WAHO Award.